Thank you for logging in to Dobbs - to go to the site's Homepage at anytime, click on the Dobbs Logo at the top of the page. If you ever want to get back here, the link to this Welcome page is at the footer. At the heart of Dobbs are the discussions. To view all forum posts, click on the Forums link (also available at all times from the menu at the top of the page). 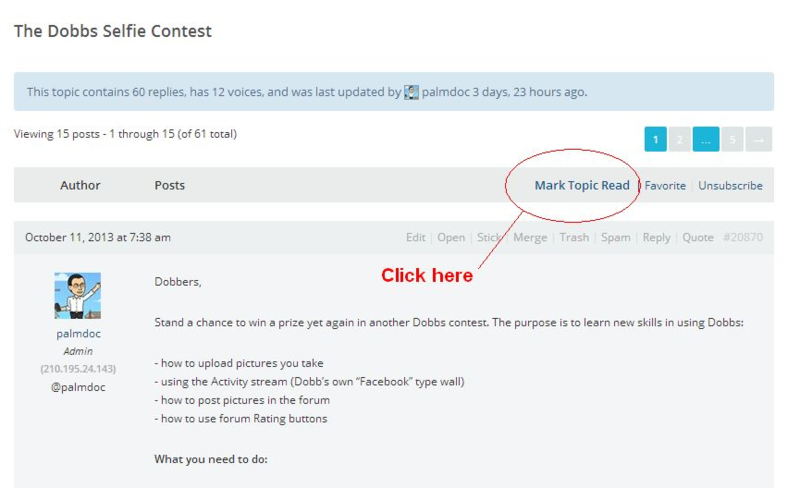 When you first join Dobbs you are automatically added to the CME/Case discussion, Dobbs General and Feedback forums. While you can read the discussions, in order to post or reply to other Group forums in Dobbs, you have to Join the group. Click the Join group button in the Group you are interested in. 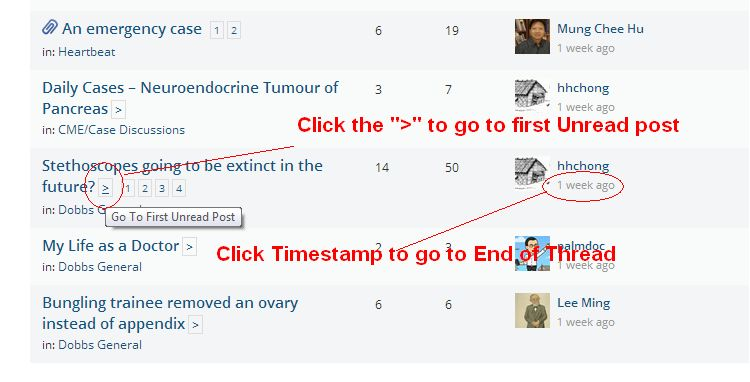 Note that at the top left of each individual forum, e.g. in our Heartbeat forum in the picture below, there is a Subscription button - subscribing means any new topic will be sent to you as a notification by email. 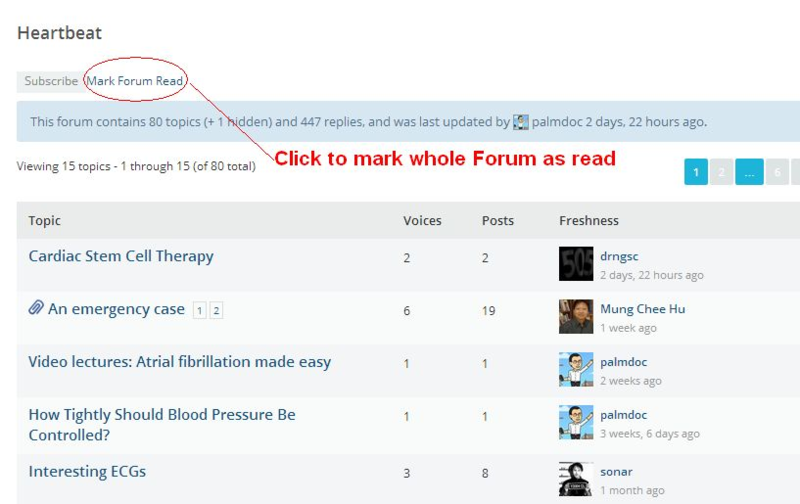 Mark forum as read means you can easily catch up by marking everything in the forum as read. To view all the sites activity updates, click on the Activity link at the top menu. Activities are like Facebook status updates . 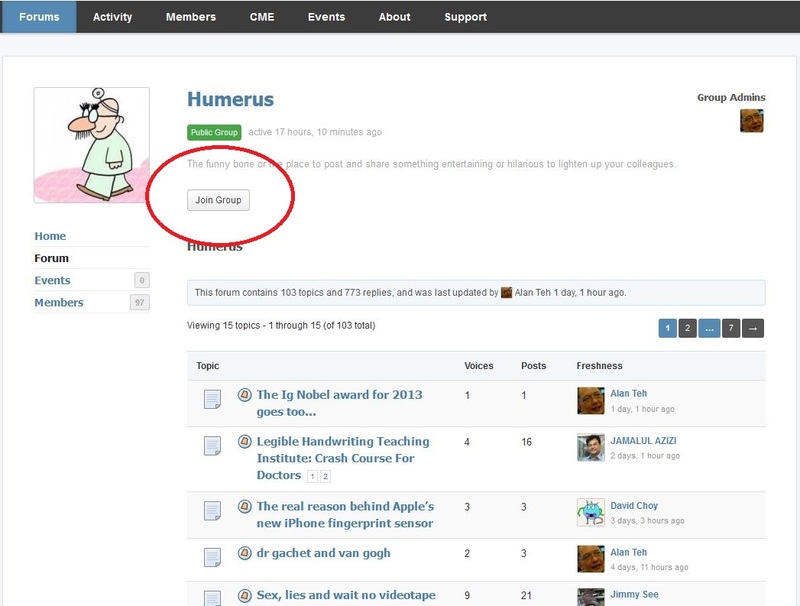 You can post Activities in your own Profile (which is like your own Facebook wall) or in any Group homepage. Use the buttons below the text box to share website links (URLs), images (upload or link to image) and video (links only e.g. to Youtube).